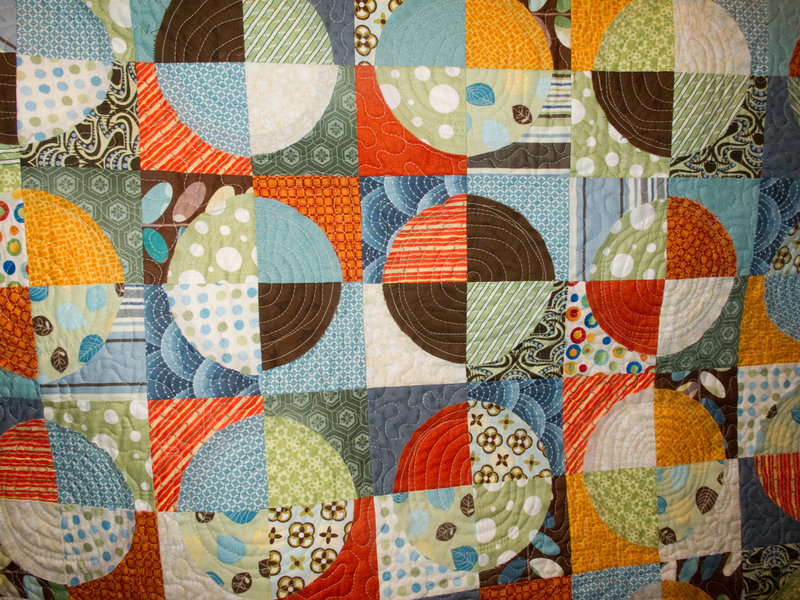 Just thought to share a few of the recent things that have come out from under the sewing machine. There’s more to share and hopefully I’ll find the pictures to post. 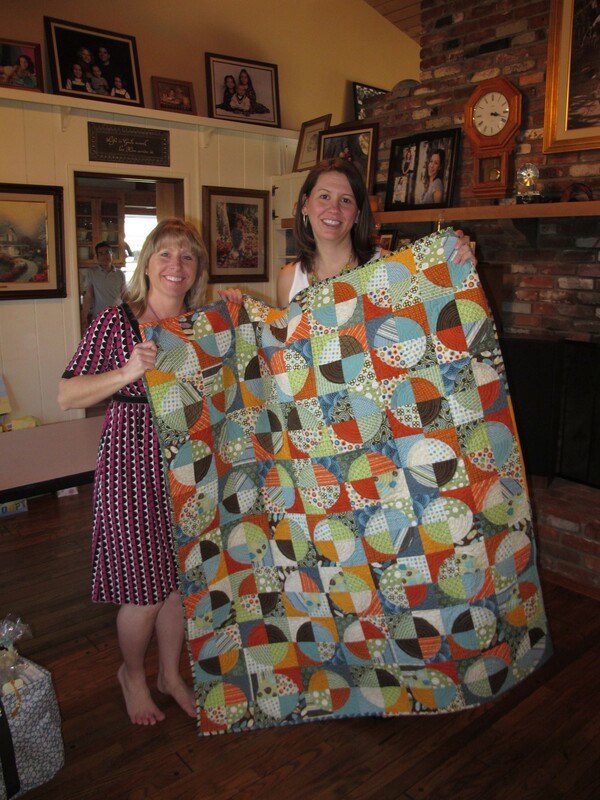 This is a quilt I made for my dear friend, Teresa, who is about to be blessed with the arrival of a son. 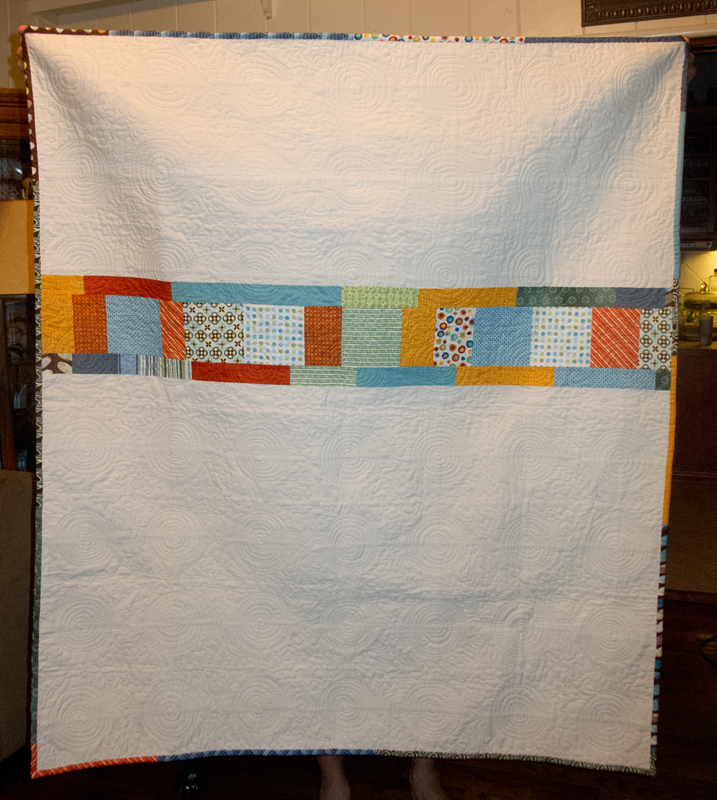 I love when I finish quilt, but I love it even more when it gets to its owner. 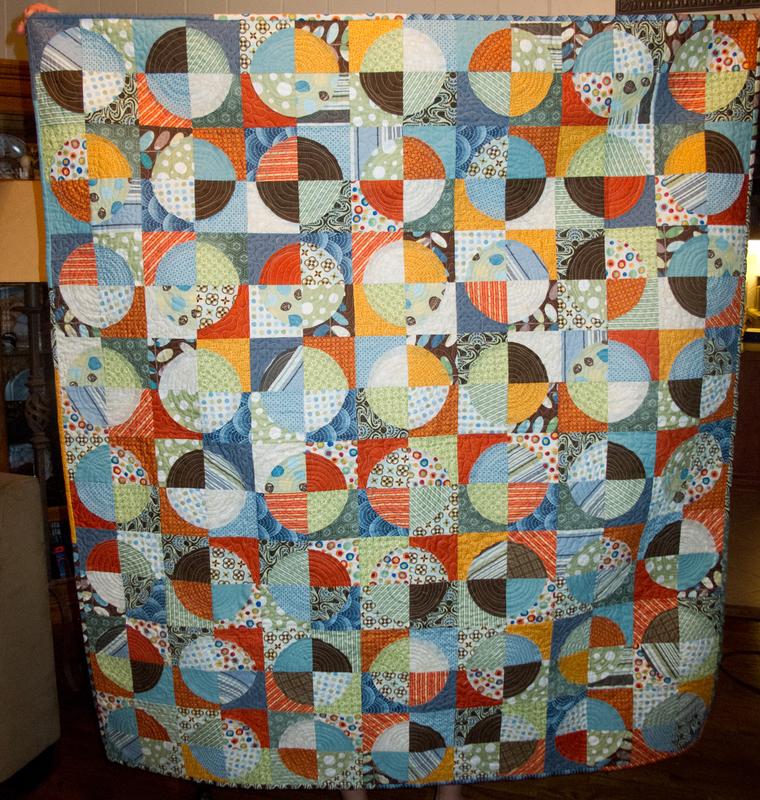 A closer view of the back to see the quilting. 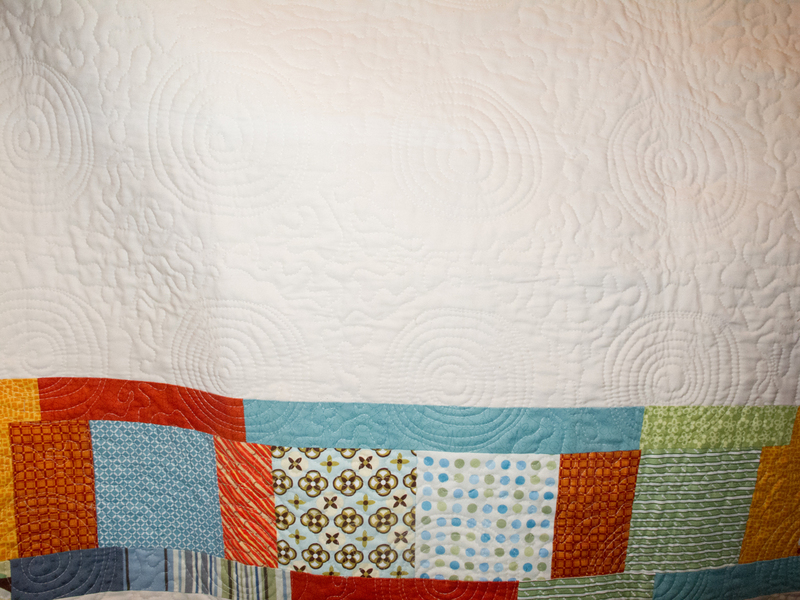 I am enjoying a book, Kim Schaefer's Calendar Quilts: 12 Months of Fun, Fusible Projects. While I won't get to all the months this year, I'm selecting some of my favorites. 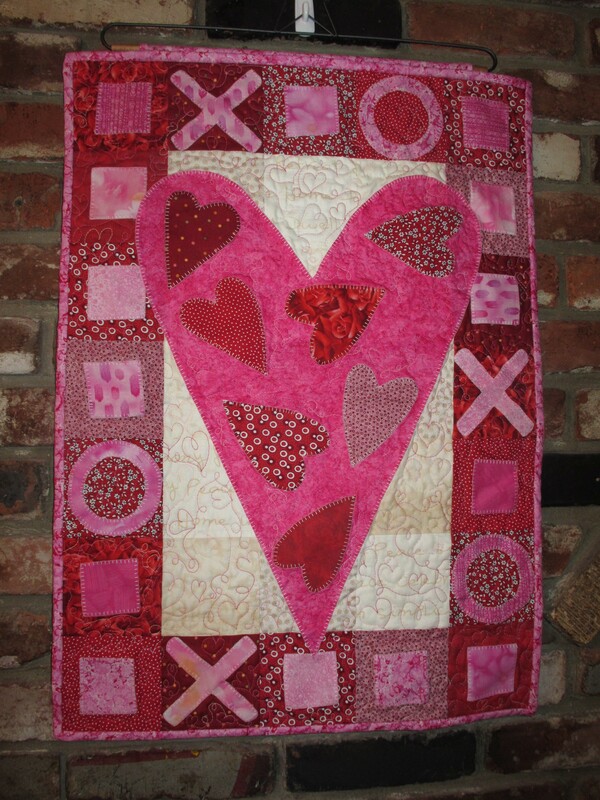 Here is the quilt for the month of February.